Different from robustness or resilience in that the Antifragile system improves with, not withstands, stressors, where the stressors are neither large or small. The concept of something being self-sustaining is quite remarkable to me. Perhaps it’s that new form of concrete that can fix it’s own crazy, perhaps it’s our shift to renewable energy, for each person this concept means something different. In terms of Digital Cash the concept of self-sustaining is being accomplished by making our blockchain self-sustaining. Nope I didn’t stutter. At today’s prices ($3) the masternode operators have agreed to start putting aside ~7000 Dash ($25,000/month) into a fund that will be used to allow the blockchain to be submitted proposals and then the masternode operators can vote on which proposal’s get funded and which proposal’s don’t. This new development budget is a very good start for creating an Antifragile form of Digital Cash because without constant development, money to fix bugs, and money to pay dev’s software defined money isn’t going to be much use to anyone. Another example of how Dash is starting to create an Antifragile ecosystem is through it’s deployment of incentivized full nodes otherwise known as Masternodes. Having incentivized full nodes is a fairly new concept in the crypto space. Full nodes are very important to the health of the network as they allow peers to talk and keep up to date. The who/what/why of our incentivized full nodes can be read about in many places so I’ll hold back regurgitating it again. So we have talked about two possibilities for Dash being Antifragile. The fact that is has a self sustaining development budget and also that it has an entire group (~2600 today) of full node operators. These full node operators all have virtual servers hosting their full nodes, mostly deployed in tier 1 or tier 2 data centers around the world. Having over 2600 full nodes participating in various network services definitely helps but I believe the third example of Antifragility we have is the operators of these nodes. 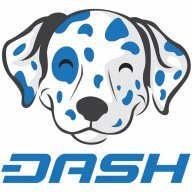 This group of people has come together locked up significant amounts of capital (2600 * 1000 * $3 = $7,800,000) and decided that they support and want to help improve Dash while also gaining some benefit for themselves personally. I think of this group of Masternode Stewarts as a board of director’s that has invested majorly into a company that they want to succeed. They are so heavily invested now that they have even agreed to give up a small percentage of their incentivization so that we can allow the block chain to be self sustaining. For agreeing to give us this portion of the reward they were given the power to control how this value was spent.